Milas carpets are 100% Wool and double knotted. Turkish rugs produced in the district of Milas are unique in their style and composition. The area around Mugla Province was a holdout for Turkmen enclaves. These people followed a semi-nomadic lifestyle, used natural dye-stuffs and incorporated a stunning variety of angular botanical motifs and symbols into the carpets they wove. 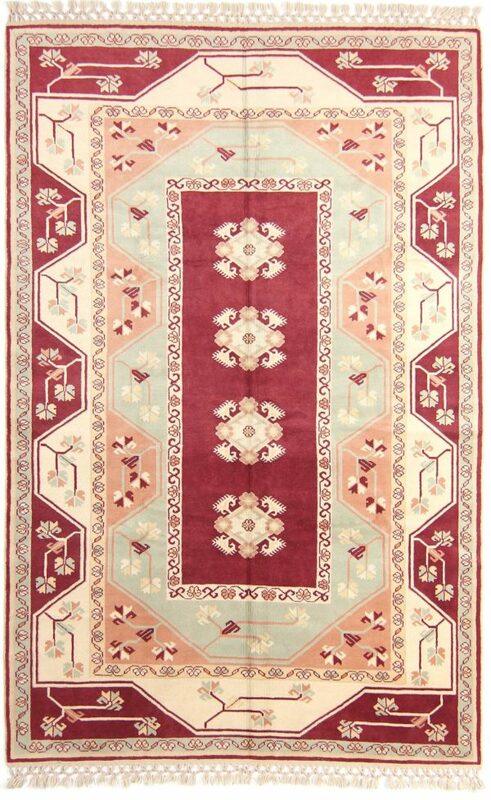 Antique Milas rugs feature a unique composition that includes broad, prominent borders that result in a comparatively narrow field. Multiple borders rendered in contrasting colors are often featured in these classical Turkish rugs. The color palette tends toward warm, earthy hues that are produced with vegetable dyes.